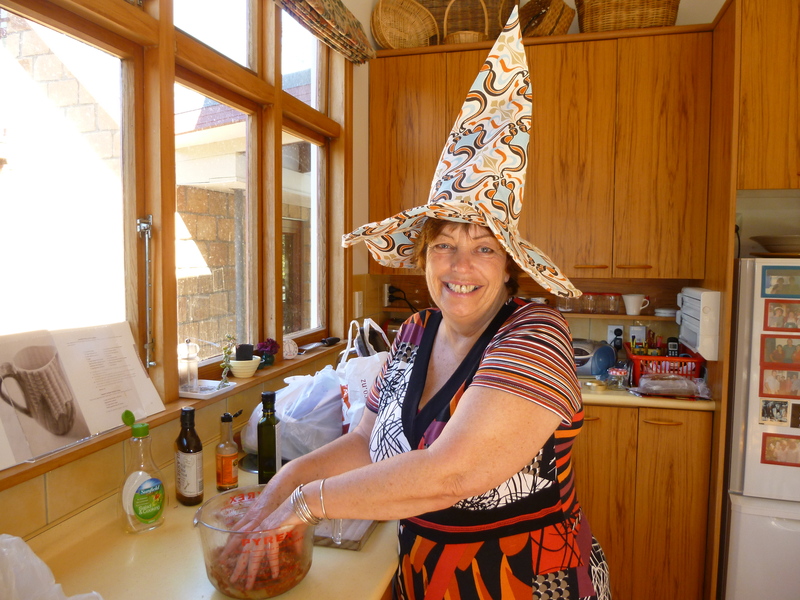 On Sunday we sadly farewelled our People’s Warden, Mary-Jane (“MJ”) Mumford. She’s returning to Auckland to take up a new and very exciting position. But it’s hard to be sad for long when MJ is around; she has a life-giving energy about her and a wonderful sense of humour. She sees opportunities where others see obstacles, and she has a kind and encouraging word for everyone. She is hospitable and generous. In the relatively short time she was a member of our parish she instigated our brand of homemade produce — ‘From the Church Gate’ — launched at the A & P Show last spring; and she inspired and helped to organise a variety of social and fundraising events as well as special worship services such as the Pet Blessing service and Flower Power Sunday (to mark ‘Bee Awareness Week’). Also, she has been a great encourager of our foray into social media, here on this blog and on our Facebook page. Mary-Jane is often to be found with her camera in hand, which we are learning is fairly essential if you want to engage in social media! We will miss her tremendously; but here’s the upside: MJ has family in the district so we know she’ll be back in this part of the world from time to time. We look forward to seeing her again in the coming years. In the meantime, she leaves a legacy of optimism, encouragement and warmth. Bye for now, MJ! Come and see us soon. God bless you. This entry was posted in Anglican church, Children and families, church fair, community events, fundraising, lay leadership, rural life, Social media. Bookmark the permalink. ← Time to get stirring?